Over the past 10 years, HandsOn Hong Kong has developed hundreds of volunteer programs designed to meet specific needs of our NGO partners and their beneficiaries. See below for highlights of some of our ongoing volunteer prorams. Hong Kong Red Cross John F. Kennedy Centre is a school that provides education, therapeutic nursing and boarding services for children with a range of disabilities, aged from six to 20. 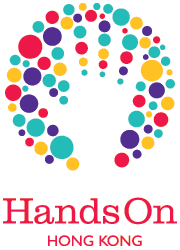 HandsOn volunteers support and spend time with the school's students through a variety of activities including recreational outings and English homework support sessions. A small group of volunteers travel to the center each week to guide the students through their homework and to act as an important source of guidance, encouragement and support. New Life Interactive Farm in Tuen Mun is a social enterprise that provides work opportunities for individuals recovering from mental illness, as well as spreading awareness and compassion for those in recovery and promoting environmental conservation. Its residents take part in vocational training through its restaurant, lead farm tours and produce eco-friendly products which are sold to sustain the farm. HandsOn volunteers visit the farm throughout the year, both by joining its tours and by creating eco-friendly items in their workshops. New Life Interactive Farm is part of the New Life Psychiatric Rehabilitation Association, which provides a comprehensive range of quality community-based rehabilitation services for people with mental illness in Hong Kong. Please visit our online calendar to review volunteer opportunities you can join.